The lighting systems already furnished in 03R runway and linking taxiways in conformity with the ICAO CATII Standard were upgraded to the CATIII/C standart in the context of this project. This means that aircrafts will be able to land safely and reach to the parking area even in “zero visibility” conditions. 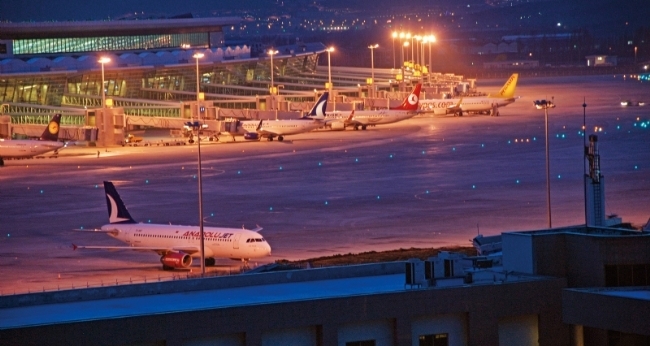 In the scope of project, each of all controllable (addressable) 2200 LED fixtures were mounted on the runway and taxiways, 8 stop bars with microwave barrier detection system were installed with an eye to ensure safer exit to the runway, and 200.000 m 6kV 1×8 AWG primary runway cable and 230.000 m 1×10 AWG secondary runway cable were laid and furthermore, all guidance signs on the runway and taxiways were renewed in conformity with the latest publication of Annex 14. The whole system operates with full back-up on a fibre optic backbone which is established between air traffic control tower-technical room-H1 and H2 regulator buildings. The control of old Constant Current Regulators was transferred to the new SafeControl system so that tower operators can manage the whole lighting system (approach, threshold, touch down zone, runway centerline, runway and taxiway edge lights and guidance signs) on the runway and taxiways through touch screens in front of them. The lightings on Apron 1-2-3, rotating beacon, wind T and wind cone were also included within the project. The SafeControl Program provides the tower operators with dynamic routing opportunity. 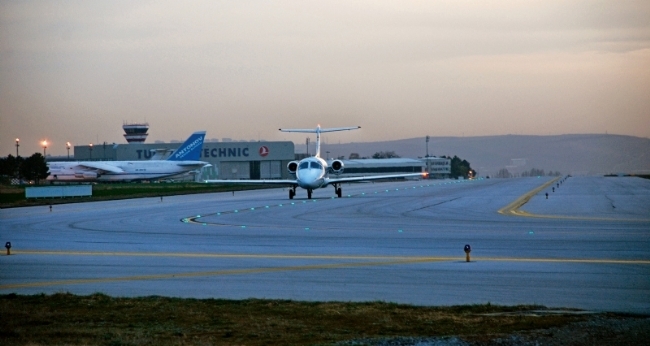 In this way, different routes can be identified on taxiways for each landing/taking off aircrafts. Elit Proje feels the right proud of completing this prestigious project, being the first CATIII lightning application in Turkey, successfully.